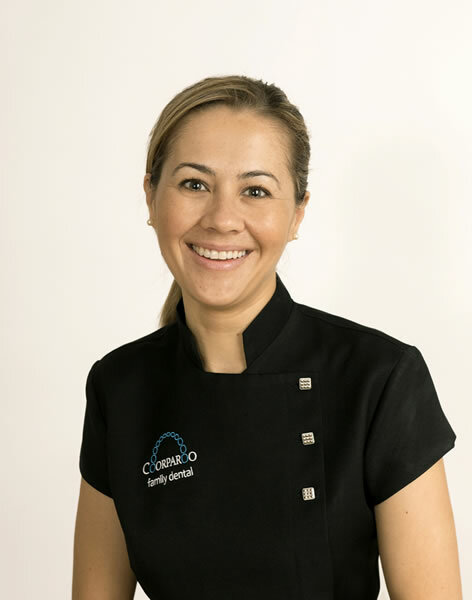 Jae joined Coorparoo Family Dental in 2016. She completed her Bachelor of Dental Science degree at the University of Queensland, graduating with first class Honours in 2007. Prior to the commencement of her Dental degree, Jae completed a Bachelor of Applied Science (Medical Radiation Technology) majoring in Radiotherapy at the Queensland University of Technology. Since graduation, Jae has worked in private practice both in Brisbane and on the Sunshine Coast. She has also worked as a Clinical Supervisor of dental students at the University of Queensland. Jae enjoys all aspects of general dentistry, with a particular interest in crown and bridge work and aesthetic dentistry. Jae’s top priority is ensuring she delivers the highest standard of dental treatment in a gentle and caring environment. In her time away from work, Jae is kept busy taking care of her young son Giacomo (Jack) as well as spending time with friends and family. She loves all things food and travel related as well as trying to stay fit with Pilates.